When it comes to your eyes, you always want to get the best care, since they give you the ability to see the world and all the beauty it has to offer. One way you can ensure your eyes are getting the care they need is by coming to see us at Crescent Eye Care in South Carolina. Our eye care specialists have your best interest in mind when it comes to protecting your eyes. We offer comprehensive eye exams and specialize in glaucoma and cataract treatment. We wanted you to know the signs that you may need to see our eye care specialists. If you have been having issues focusing or continue having blurry vision, come see our eye care specialists. This is can be something serious, and you don’t want to take your eye health for granted. Your blurry vision can either be concentrated to one eye, or it can happen randomly throughout the day. Either way, scheduling a consultation with our specialists is the best way to know for sure what is going on with your vision. Visual disturbances can be anything from a floater to random flashes of light. If this is a sudden occurrence and it is impairing your vision, this could be an extremely dangerous condition. These items within your vision path can be a sign of retinal detachment, a tear, or a hole. These are conditions that need to be taken care of immediately. Schedule an emergency appointment with our eye care specialists. This type of blurry vision tends to worsen over time. If you notice yourself moving things farther away to read or vice versa, it’s time to come see us in South Carolina. This can be due to a number of reasons but it is best for the experts to take a look and diagnose the situation. You may need glasses or this could be a serious issue. It is always better to get vision impairment checked out, rather than left alone, in case it is something serious that can lead to permanent damage. Headaches can be caused by all kinds of things such as stress, menstrual cycle, and more importantly, your eyes. 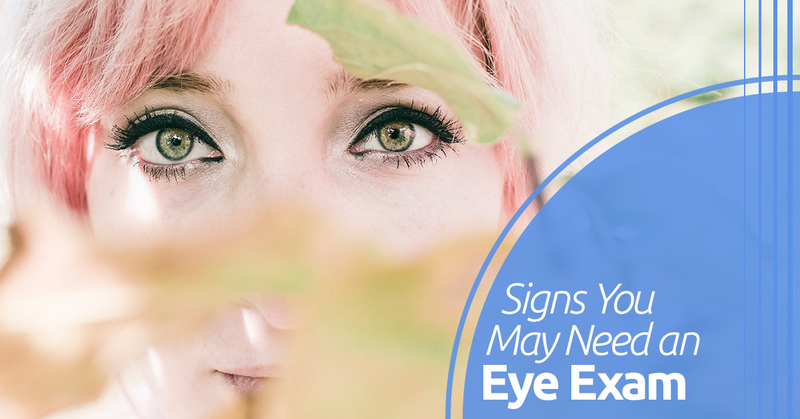 If you have recurring headaches, this can be a sign of eye strain and a vision issue. When your vision changes, it is a gradual process, but one of the first signs is frequent headaches. If you are experiencing this annoying symptom, come see our eye care specialists in South Carolina. You may need glasses or a new prescription strength for your glasses. Don’t suffer if you don’t have too! At Crescent Eye Care, we want to make sure your eyes are always in check. If you have evidence of any of these symptoms, or even others, don’t hesitate to schedule an appointment with our eye care specialists. We are professional, caring, and your eye health is our prerogative. Check back for our next blog with more reasons you should schedule an appointment with our eye care team.